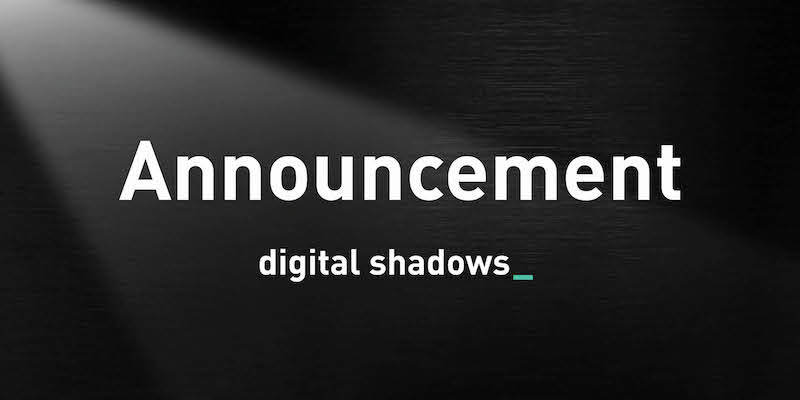 SAN FRANCISCO AND LONDON, May 17, 2016 – Digital Shadows today announced new enhancements to its cyber situational awareness offering that empower clients to identify, verify, and assess compromised credentials, as well as detect typosquatting domains that may be used to target an organization. Digital Shadows is also introducing Topical Research Reports designed to inform senior level decision-makers about in-depth technical, geopolitical, or geostrategic assessments of threats. Credential Compromise – SearchLight now enables organizations to quickly understand credential compromises at both a tactical and strategic level so executives can make more informed security decisions. SearchLight already searches for leaked credentials across paste sites, social media, search engines and dark web sources. Leveraging its new breach database, Digital Shadows’ analysts are able to quickly compare instances of credential compromise against historical data – verifying whether the leak contains newly breached or recycled, older credentials. Clients can also now view instances of compromise at a broader, aggregate level, so that they can better understand the big picture – identifying systemic issues and where their credentials appear most frequently. Typosquatting Identification – SearchLight now discovers domains likely to be used for malicious typosquatting in support of targeted attacks, where attackers use domain names that are similar to a client’s to launch a wide variety of online fraud including phishing campaigns. Early detection of these domains is critical to helping organizations identify threats specific to their business so that they can quickly take action to remove or neutralize them. In one client instance, a U.S. based global brand was targeted by another company with 50 typosquat domains, which went undiscovered until Digital Shadows SearchLight’s typosquatting identification was deployed. In a second instance, after just four weeks, Digital Shadows detected 30 active phishing sites targeting a client’s brand – most of which had been active for over 12 months, and also detected customer and employees details being shared and sold on IRC channels. Providing this situational awareness to clients helps them more quickly remediate. Topical Research Reports – Digital Shadows also now offers Topical Research Reports (TRRs) as part of its professional services offering. These reports provide in-depth technical, geopolitical or geostrategic assessments of threats that factor heavily in an organization’s senior decision-making process. The reports are researched and written by Digital Shadows’ internal team of intelligence experts and supported by SearchLight’s vast threat database. Digital Shadows SearchLight™ credential compromise and typosquatting identification, and Topical Research Reports, are all available now. To learn more about SearchLight, visit http://www.digitalshadows.com, or request a live demo.